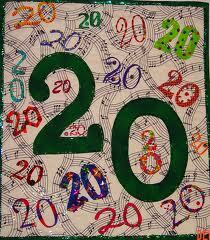 As of Sunday, April 15th, there are only 20 days until the First Saturday in May! The descriptions include each horse’s last start (with a YouTube link if available) and possible next start for each horse and a career summary of starts with results, total earnings and graded stake earnings with the rank amongst Derby contenders. You will also find the closing odds from all three of the Kentucky Derby Future pools. According to www.HorseRacingNation.com $260,0000 is currently required to make the top 20 of graded earnings. 1) Bodemeister – Last week ranked 8. 2) I’ll Have Another – Last week ranked 2. 3) Dullahan – Last week unranked. Career – 8: 2-2-0 $872,091 (4th $855,000). 4) Creative Cause – Last week ranked 2. Career – 6: 3-2-1 $851,000 (5th $836,000). 5) Gemologist – Last week ranked 4. 7) Hansen – Last week ranked 1. Career – 5: 4-1-0 $1,473,305 (1st $1,550,000). 8) Daddy Long Legs – Last week ranked 5. 9) Alpha – Last week ranked 9. Career – 6: 3-2-0 $500,000 (15th $380,000). Career – 6: 2-2-0 $721,000 (9th $698,400). My son Riley likes to go to the racetrack. Going to Monmouth Park is part of our summer weekend routine that usually includes a visit to a water playground that is a short distance from the track. Like most kids he really enjoys these activities, but if you were there you would quickly notice Riley. He is the one at the spray ground that doesn’t play with other children but he is extremely happy to kick up the water so that he can watch it splash in the puddles. At Monmouth he likes to stand at the rail by the tunnel that leads from the paddock to the track. It is there that he can get the best view of the horse’s feet moving or where he can lay face down and feel the cool linoleum floor. My son Riley is eleven years old and he has autism. The descriptions include each horse’s last start (with a YouTube link if available) and possible next start for each horse and a career summary of starts with results, total earnings and graded stake earnings with the rank amongst Derby contenders. 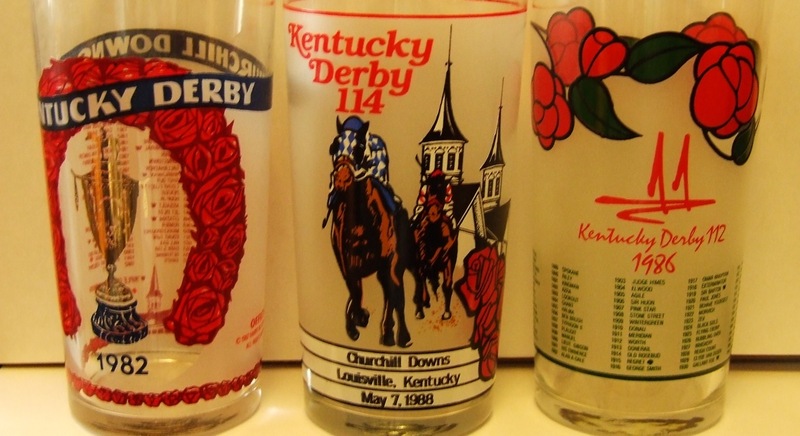 You will also find the closing odds from all three of the Kentucky Derby Future pools. According to www.HorseRacingNation.com$240,736 is currently required to make the top 20 of graded earnings. 1) Hansen – Last week ranked 2. 2) Creative Cause – Last week ranked 3. Career – 5: 3-1-1 $701,000 (6th $686,000). 3) I’ll Have Another – Last week ranked 5. 4) Gemologist – Last week ranked 6. 5) Daddy Long Legs – Last week unranked. 6) Union Rags – Last week ranked 1. 7) Bodemeister – Last week ranked 10. 8) Optimizer – Last week unranked. Career – 5: 3-1-0 $300,000 (22nd $180,000). 10) Take Charge Indy– Last week unranked. Career – 6: 2-2-0 $721,000 (5th $698,400). About a week ago my Horse Racing Nation Managing Editor, Brian Zipse, sent me an e-mail that said that I might become a voter in the NTRA Top Thoroughbred polls. Of course I had seen the polls quite often on the NTRA website, in the Daily Racing Form, and in mainstream newspapers. 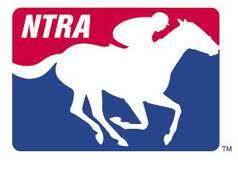 The NTRA polls are racing’s equivalent to the Top 25 polls for college sports. There is the Top 10 Thoroughbred Poll, which includes horses from all racing divisions, and the Top Three Year-old poll. The Top 10 Thoroughbred Poll is essentially a horse of the year poll. My first thought was how many people actually vote in these polls and who are they? A few clicks later on my laptop and I was at ntra.com/polls looking at a list of 50 people, a veritable Who’s Who of racing. These are people who I have seen on television and even in the movies and they are writers whose work I have been reading my whole life. I couldn’t help but hear Wayne and Garth whispering in my ear, “You’re not worthy, you’re not worthy.” On the other hand in the past year I have been able to meet several of them at the track and interact with many of them on a regular basis on Twitter. 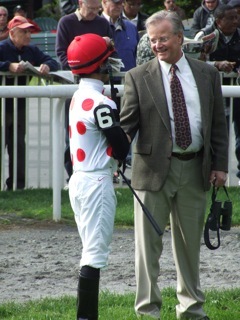 Read the rest of this blog at HorseRacingNation.com/blogs/NYState. The descriptions include each horse’s last start (with a YouTube link if available) and possible next start for each horse and a career summary of starts with results, total earnings and graded stake earnings with the rank amongst Derby contenders. 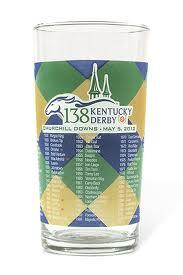 You will also find the closing odds from the Kentucky Derby Future pools 1 and 2. According to www.HorseRacingNation.com $150,000 is currently required to make the top 20 of graded earnings. 6) Gemologist – Last week ranked 9. Gemologist pulled away impressively to defeat Currency Swap, the winner of last year’s Hopeful (G1) at Saratoga. His BSF showed an increase of 10 from his last start as a two year-old. WinStar was so impressed that they are now aiming for the Wood Memorial (G1). 7) Optimizer – Last week unranked. Optimizer finished the Rebel (G2) with a very strong closing move. He looked like he was going easily at the end and having fun at the same time. There has been much talk that Optimizer did not change leads down the stretch, even so, here is a three year-old that looks like he will handle the Derby distance. 8) Alpha – Last week ranked 6. Career – 5: 3-1-0 $300,000 (15th $180,000). Louisana Derby – April 1. There appears to be a change of plans with Alpha now pointing to the Louisiana Derby (G2). 9) Prospective – Last week ranked 7. 10) Bodemeister – Last week ranked 8. 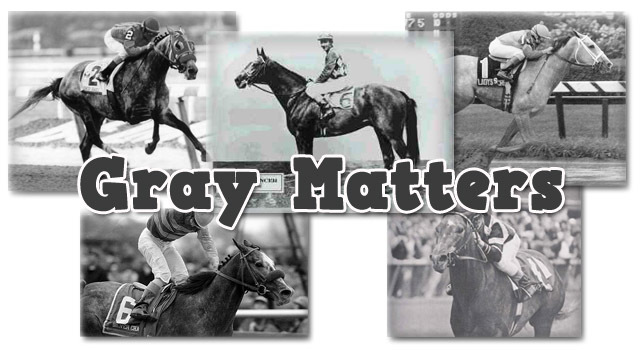 Is Hansen or Creative Cause good enough to be considered one of the best gray thoroughbreds? If so, they would have to be better than some of the greatest horses of all time. 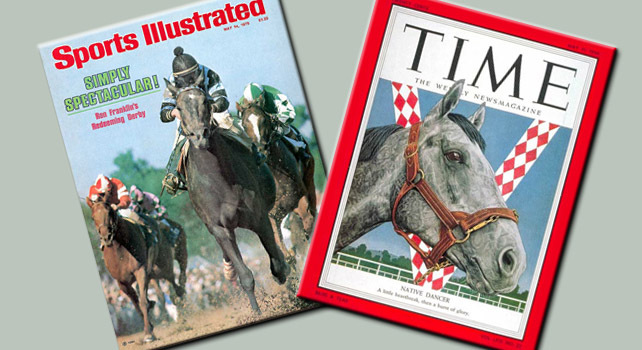 The rest of this article appears at HorseRacingNation.com and includes my list of the Top 10 Gray Horses of All-time: http://www.horseracingnation.com/blogs/NYState/The_Top_10_Gray_Horses_of_All_time_123.